Over the years I’ve offered special discounts or have used the proceeds from WinPatrol to help when I could. One common benefactor of our support have been veterans. My favorite special event was Veterans Day in 2008. BillP Studios donated over $2000 to our local Honor Flight Network helping to cover the costs for WII veterans a chance to visit their memorial in Washington DC. This month I decided to give away WinPatrol PLUS to unemployed job seekers hoping they could spent more time seeking and less time trying to resolve computer problems. Click here for more details. I knew this give away would be different but I have been overwhelmed by the reactions. The mail I’ve received from current WinPatrol fans has been very positive and it makes me proud. The comments included in the requests from unemployed job seeker however caught me by surprise. While everyone is grateful and happy receiving free software reading between the lines I can tell how truly desperate and beat down many people feel. I can tell from our comments that many are in serious desperate situations. “Right now I must worry more about keeping the lights on..... but mark my words: I won't forget this kindness and will pay you in full when I am able to do so. I am pleased that folks were proud enough to participate and accept our free offer. Most everyone was able to produce some proof of the frustration they’ve experienced trying to find work. Sorry I wasn’t able to provide a free code to everyone who havesuffered financial problems but this special was aimed at unemployed job seekers. I’m sure we’ll come up with other specials in the future for those in real need. This offer is still good but only during the month of August so if you haven’t, act now to take advantage of this free give-away. It’s no secret that the unemployment numbers around the world are at an amazing high. At least once a week I receive a plea from someone who is unemployed asking for a discounted upgrade to WinPatrol PLUS. For someone looking for a new job, a computer is a must have tool. Unfortunately, they’re also the targets of scam artists who take advantage of folks who need help the most. In response to the need to protect and help the unemployed I’m giving away our $29.95 single user license with all the benefits of our standard WinPatrol PLUS upgrade. As a computer professional I’ve been blessed never to be without work but these days unemployment can happen to anyone. Visiting new web sites is a time when WinPatrol PLUS is needed the most. I’d much rather have someone using their time to find that perfect job instead of fixing computer problems. All that’s required is to scan in or provide a screen capture proof you have recently received unemployment benefits or other reasonable proof of unemployment. Sorry, but you can’t just Email support@winpatrol.com and say “I’m unemployed, give me a code”. Some evidence is required but our give away is even available to our friends outside the U.S. Requests will be will be processed within 24-48 hours. Here’s an example of what New York State provides to those receiving benefits and the kind of proof acceptable. For now, this is a limited offer available until the end of August 2010. If you know someone who is unemployed but could use WinPatrol PLUS send them here to http://bitsfrombill.com. I challenge other software companies to do the same. The first new treat she discovered using Windows 7 was the quick detection of our wireless network. In the past, Cindi’s laptop would boot up and while it appeared to be ready it was my fault when she couldn’t get online. The engineers at Microsoft made this feature a priority and they nailed it. Cindi can now check for new baby photos on Facebook before her first sip of coffee. While we’re looking at the Windows 7 system tray I can tell you about another new feature that makes her happy. Note the little up arrow that now contains all the icons that used to mess up the system tray. This keeps the Windows system tray much neater and more manageable. Considering all the great new features in Windows 7 it seems silly to just talk about system tray issues. Truth is task bar icons have always been a major annoyance to PC users. There’s one feature that I use all the time and only writing this article did Cindi finally understand one of the mysteries of Windows 7. In the very bottom right hand corner is a small box doesn’t appear to have a purpose. Under the Windows 7 interface this plain little box is the “Show Desktop” feature. This is a great feature and while it was available under Windows XP, it wasn’t widely used. The implementation as a little square has confused many but once they find out how it works everyone loves it. So, if you’re one of those people who wonder why sometimes all your windows disappear, it’s because your mouse hovered over this little box. One of single most important tasks that non-computer experts have dealt with is “Where the heck did I put that file”? Teaching users how to locate and open a file is the difference between a computer user and someone who uses a computer. Windows has a standard Open File dialog available to developers and it is used by most applications including Windows Explorer and Word. This provides a fairly consistent interface. Windows 7 Open dialog now includes great enhancements aimed and making finding that file easier. In my example below Cindi was looking for a document she needed for her work with Scotia Rotary. Typing in the word “Rotary” instantly displayed a number of recent documents related to Rotary. In addition, one of the other new Win7 features displays text thumbnails helping her find the exact document she wanted. What’s even nicer about Windows 7 is that Cindi doesn’t need to know which folder her file is located in. Using Windows Home Groups her computer combines her old “My Documents” folder with other folders that have been assigned to her using the Windows 7 Home Groups. Some of her folders are located on our home network. One of the welcome benefits of her new laptop is enhanced battery life. Windows 7 allowed me to configure her laptop for outstanding usage when not plugged. The power management not only saves on batter life Cindi no longer complains that her laptop is burning her legs. I’ve left out so many other great new Windows features but my point was to show how Windows 7 provides instant improvements to non-computer experts. My biggest surprise is that all these new features are being utilized with a minimal learning curve. I still occasionally get blamed when some applications misbehave but Windows 7 has been a joy. So obviously, I no longer recommend you order new computers with Windows XP. 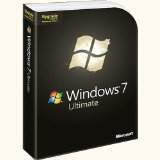 I also recommend if you’ve been using Vista stop now and order Windows 7 as soon as possible. Your time is important and Windows 7 is a worthwhile investment.